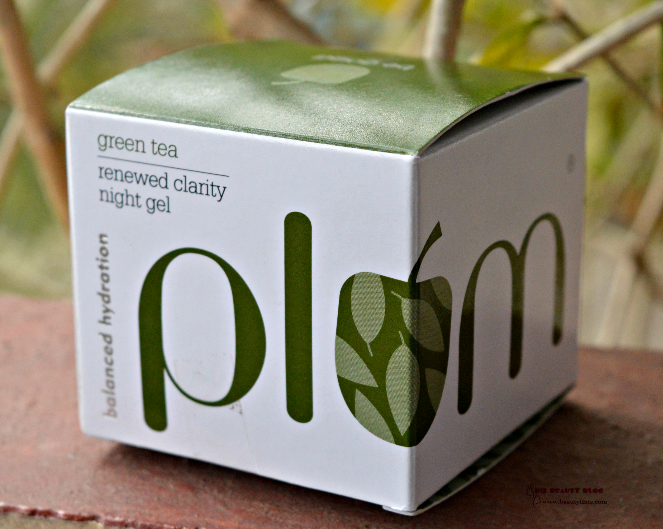 Sriz Beauty Blog: Plum Green Tea Renewed Clarity Night Gel Review!!! Recently the brand Plum has launched a few new products and today I am reviewing one of their new launches which is their Plum Green Tea Renewed Clarity Night Gel ! 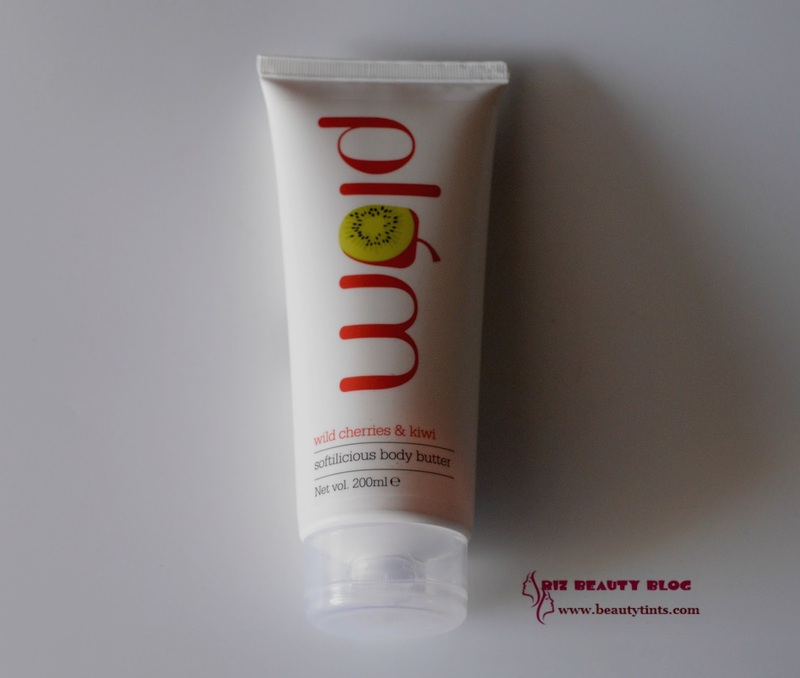 This is meant exclusively for oily to combination skin! Packaging : It comes in a transparent heavy glass jar with a silver colored sturdy cap,with in a outer carton. What the product Claims : our skin needs night time hydration and nourishment. 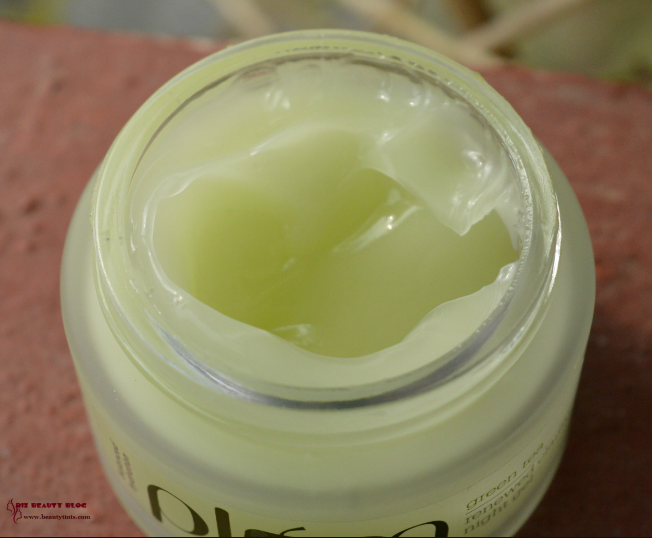 But if you have oily skin, you've tried night cream after night cream, and are still tired of waking up every morning with an oily skin. Presenting a breakthrough product from Plum for clear, fresh and hydrated skin every morning. Minus the greasiness. 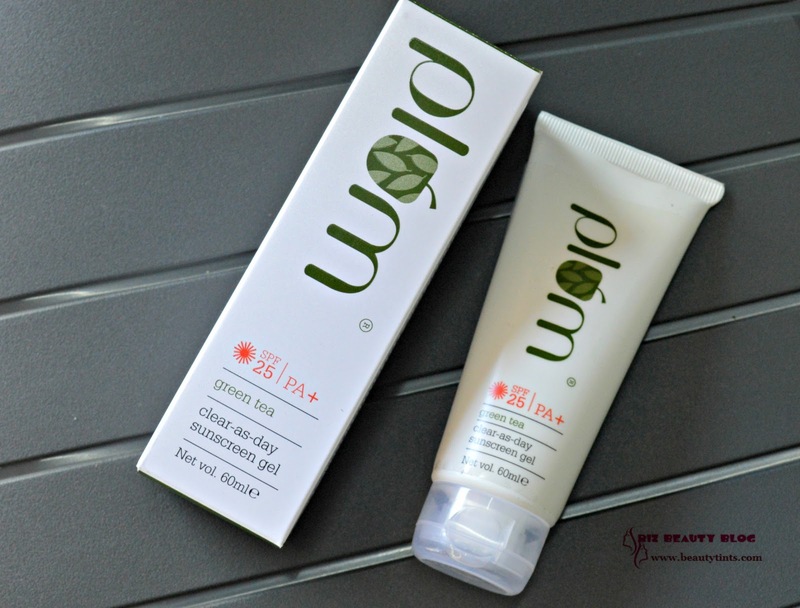 The refreshing gel-like texture is LOADED with antioxidants (from green tea, gingko and goji berry) and plant nutrients (from aloe, licorice and willow bark) for a clear even toned skin. We've chosen argan oil (a non-comedogenic beauty) to get you balanced hydration minus the oiliness and clogged pores. 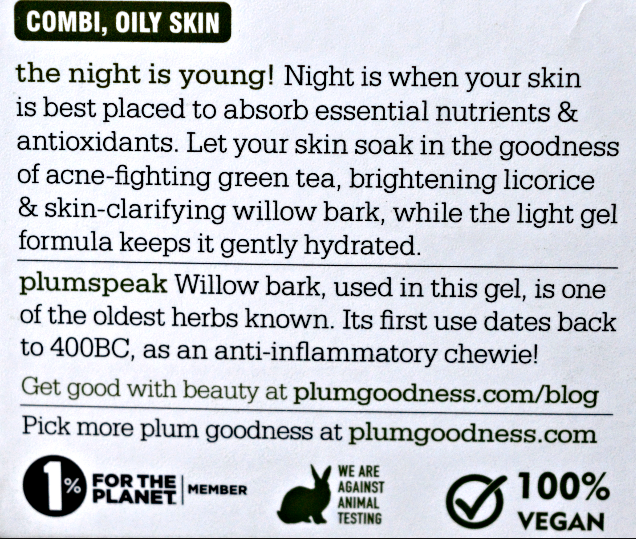 And as always, this Plum is 100% vegan, paraben-free, phthalate-free, and not tested on animals. 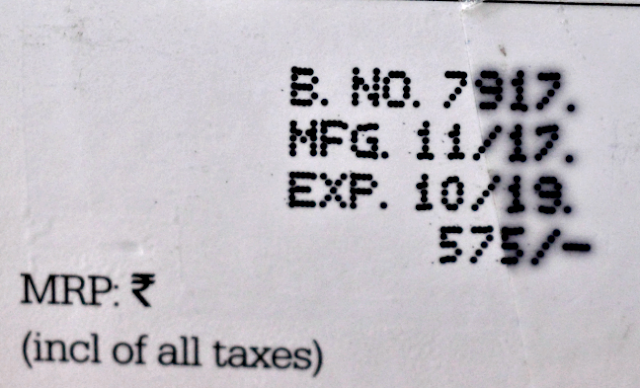 Availability : Available in many online stores .You can buy it from here. 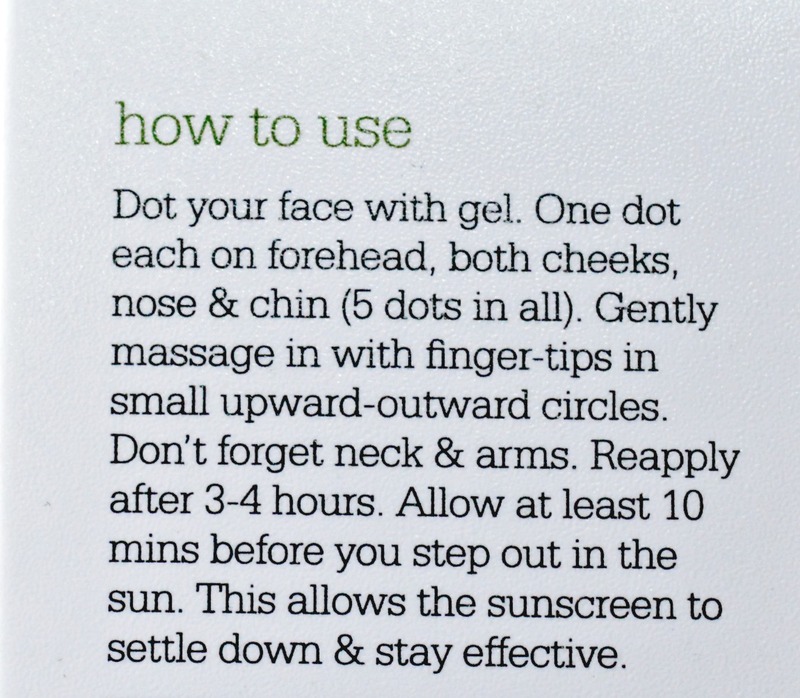 Directions for Use : Dot your face with gel. One dot each on forehead, both cheeks, nose & chin (5 dots in all). 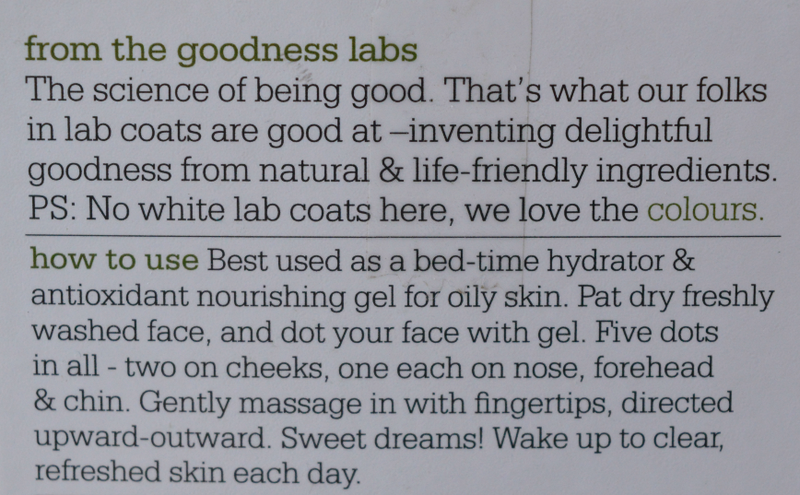 Gently massage in with finger tips in small upward-outward circles. 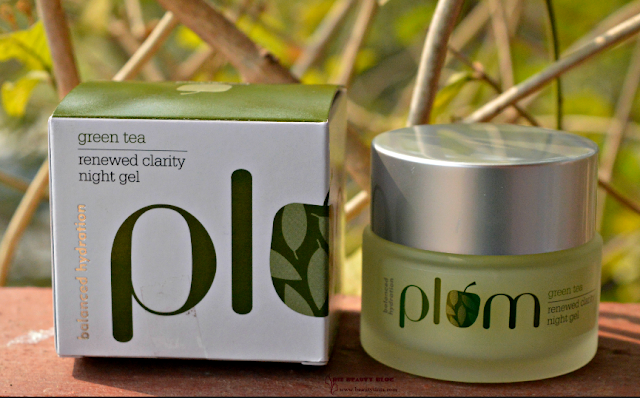 My Views On the Product : I have combination skin but I am in my hometown in Andhra and the climate here is extremely hot & humid,due to which it turned into complete oily skin.I have been using this Plum Green Tea Renewed Clarity Night Gel from past 3-4 weeks and I am absolutely loving it! 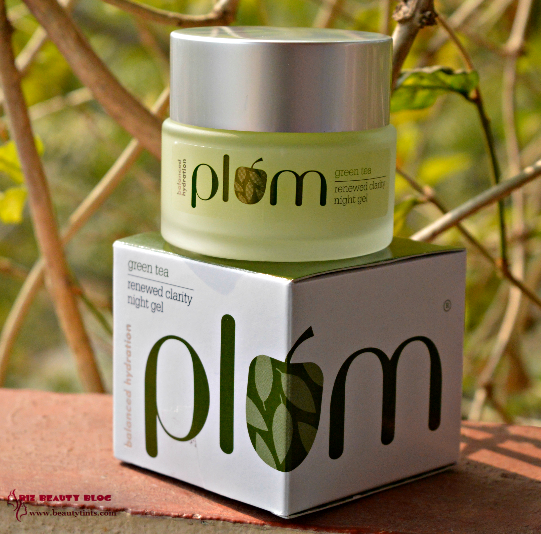 This gel comes in a glass jar similar to most other Plum products.As the name suggests,it has gel texture with a very light consistency.It has a very mild refreshing scent.A teeny tiny bit is sufficient for entire face.The gel gets absorbed easily into the skin leaving the skin hydrated with out being heavy or greasy.It gives instant boost of hydration and gives a bit of plump to the skin.I use it in the night before going to bed to cleansed skin and it makes skin super soft and nourished in the morning. After using it for 2 weeks I saw visible improvement in the texture of my skin.I had small blemishes on my cheeks and chin,which became lighter after using this.It contains the goodness of green tea which helps in fading the blemishes along with other effective ingredients like Gojiberry,Gingko leaf extract,aloe vera juice,Argan oil,Licorice that helps in making the skin clean and clear.It also contains Glycolic acid,which helps in gentle exfoliation.It is free from parabens and harmful ingredients and is completely vegan Product.Though it is a bit pricey but it is total worth! 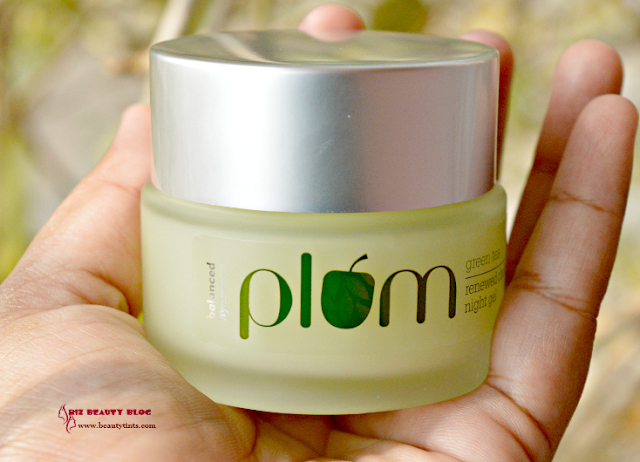 Final Conclusion about Plum Green Tea Renewed Clarity Night Gel : This Night Gel from Plum is a great choice for those who have oily to combination skin as it gives good hydration without making the skin oily or sticky and is completely natural,vegan product!! !